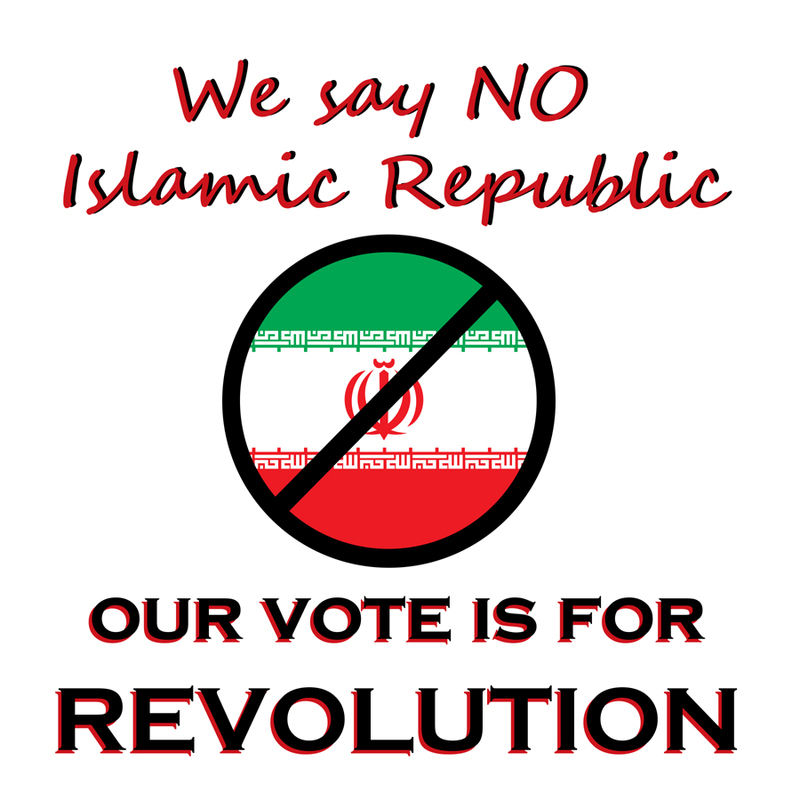 This statement was read at the protest action held at regime offices on 14 June 2013, the day of sham “elections” in Iran. The Islamic regime in Iran is in its deepest political and economic crisis. The political crisis, which has followed the regime from the beginning of its existence, has intensified to such a degree that prisons, which until a few years ago were allocated for the incarceration of dissidents, now contain a large number of those who have been serving the regime, from all levels of the regime’s structure. The economic crisis, another aspect born with the regime, has been deepened by “mismanagement,” thievery, the global economic crisis, and of course crippling sanctions. This is why the regime is in need of yet another sham election. By pulling out the naivest of people, by propagating pictures of engineered queues of voters, the dictatorship in Iran urges people to the polls as it seeks to attain even the thinnest veneer of legitimacy. But the regime cannot erase the world’s memory of the brutal and bloody suppression of Iranian people who demanded democracy and freedom during the 2009 post-election uprisings. The regime cannot legitimize with sham elections and ersatz debates the 34 years of crimes against humanity it has perpetrated against Iranian people. Elections under a regime that survives only through oppression – by constant harassment of women, by arresting and imprisoning whoever dissents, be they lawyers, journalists, mothers with their babies, students, children, or labor rights activists – are but a vicious joke in the eyes of the Iranian people. This “election” is a sham – regardless of who is pulled out of the ballot box, the result has no meaning for people. None of the candidates has a solution up their sleeves for rescuing the regime from its crisis. They represent nothing more than different factions of a single regime in free fall, be they hardliners or reformists. Four years ago, the reformists floated a phantom of a solution for the Islamic regime. They claimed they could solve the problems of the regime by going back to the “Golden Era of Khomeini.” This time around, the reformists suggest easing the current tensions by giving in to the demands of the West on the nuclear issue. But everyone knows that the economic problems of this regime are not due to sanctions, despite having been intensified by the sanctions. These deep economic problems existed before. The “solutions” offered by reformists cannot solve the problems of the regime. If the reformists had a phantom of a solution to offer, Khamenei and his hardliners don’t even have that. The only thing they have is power of oppression and continuation of a dead-end strategy – continuation of sanctions, international pressure on the regime, and immense pressure on people, especially the working class. The entire economy is suffering, and no matter what name is pulled out of the box, none has a solution for the Islamic regime’s crisis. This “election” like all the others is a sham election. This regime has always pulled out a president that serves its own purposes. People have no interest in either reformists or hardliners, and they should not participate in the election. But that is not enough – at the same time that we do not participate, we also demand the downfall of the regime by the force of people, by the force of the working class. If there is a difference between now and four years ago, it is around the question of bread: working people were poor four years ago, and now they are hungry. It is not enough not to vote – what must be done is to organize, and go on the offensive for bread, freedom and social justice.